This tuition is for actors who need to deliver a strong, confident and spontaneous performance in an accent different from their own. Each course is tailor made to suit the needs and level of the individual learner. Different techniques work better with different learners and the optimum one will be used to help you reach your goals. 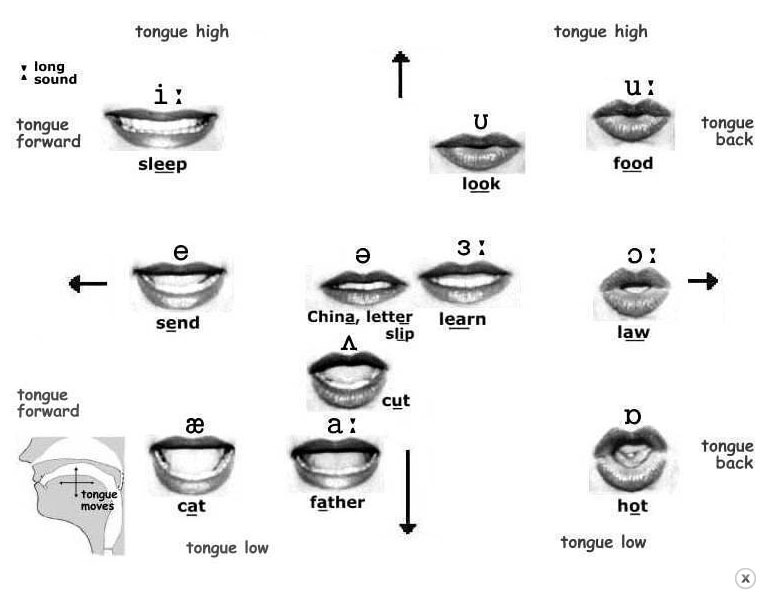 Practice and ear-training is done with native speaker examples, along with a phonetic analysis of the accent being studied, voice placement, intonation and rhythm. 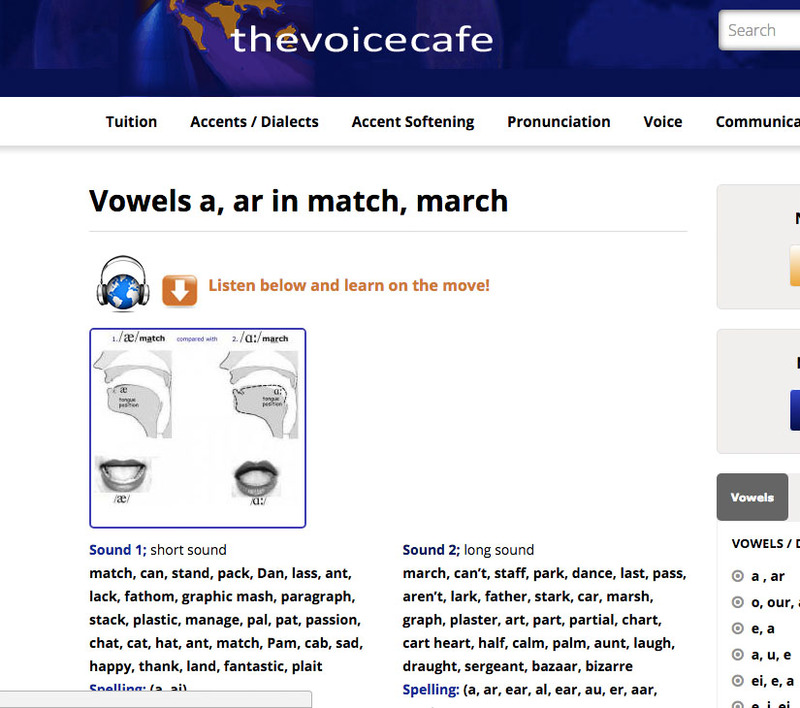 Accent coaching is offered via »Skype Interactive Video, or if you prefer to study on your own, try the »Audio Study Zone, an access based learning resource offering instantly accessible studies in up to 20 accents of English, with native speaker recordings in male and female voices in each accent. 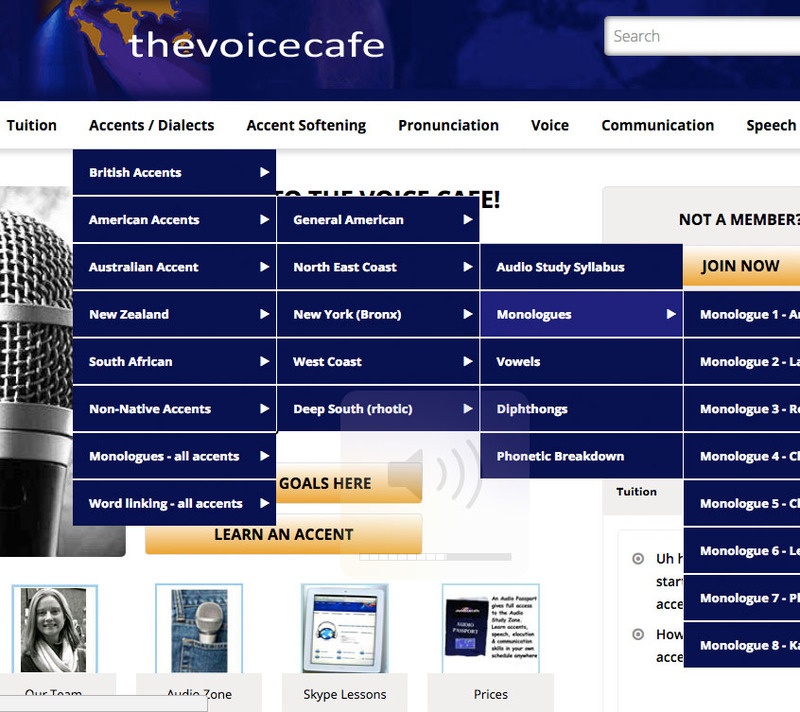 Acquire skills for mastering accents of English: develop techniques to help you master the sound, rhythm and tone of an accent. 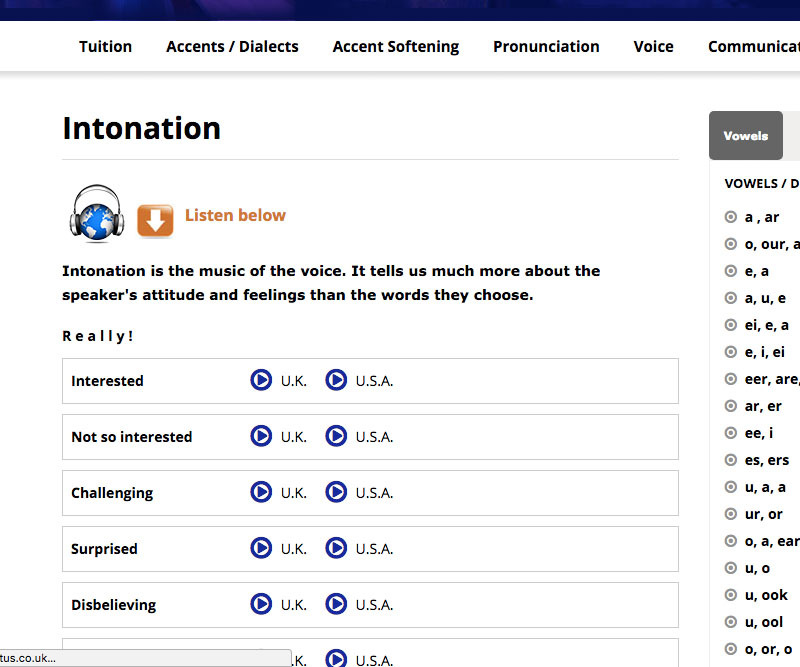 Phonetically based tuition: your accent coach will guide you through a detailed phonetic breakdown of the accent you wish to learn compared with your own. 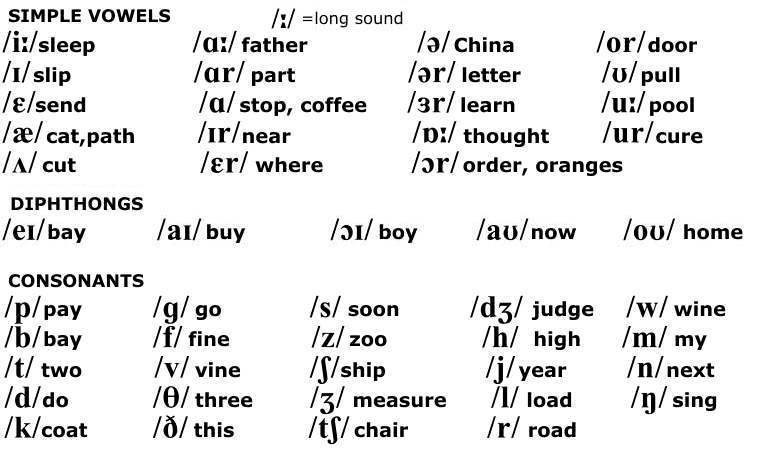 British English Received Pronunciation, General American, Australian and more: feel more confident to be able to produce an accent on demand. 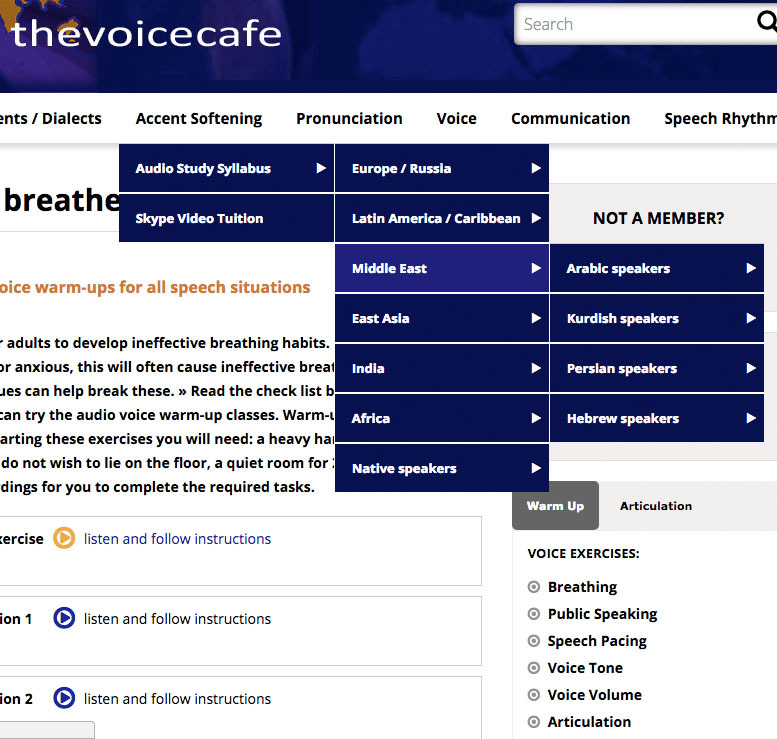 Vocal agility exercises: exercise the speech muscles required for the overall voice quality of your target accent. 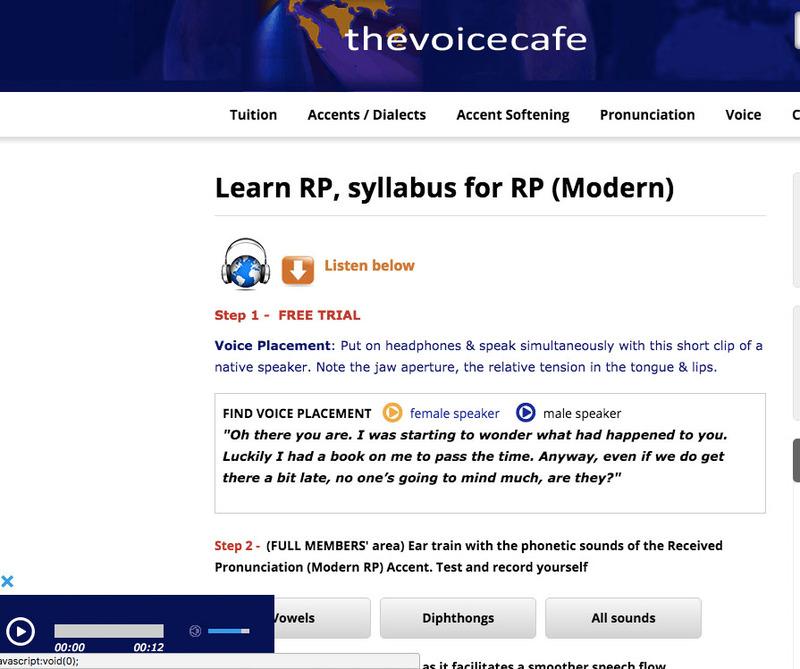 Audio homework after each lesson: a new practice MP3 file after each lesson so you can repeat the lesson as often as you wish. »Too busy for lessons? 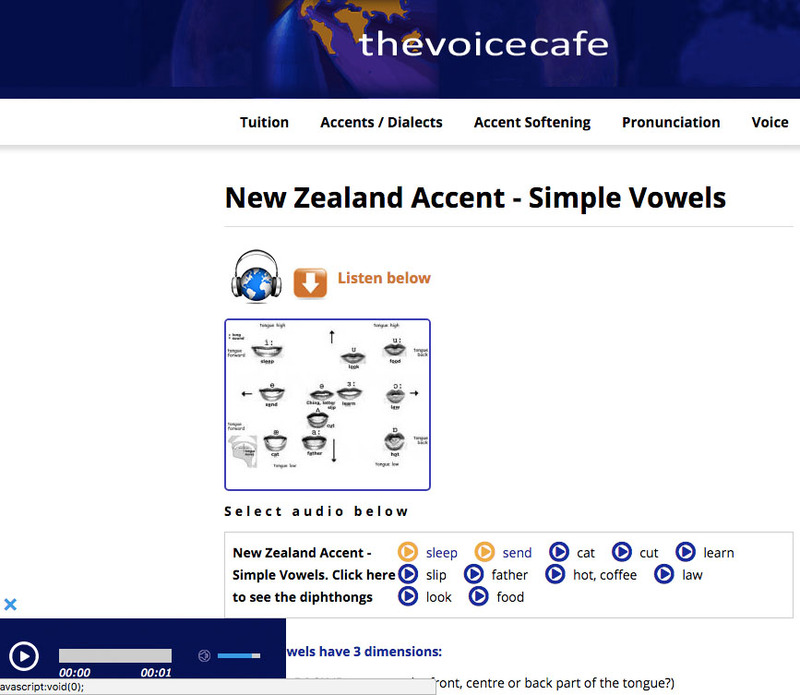 Which accents can I learn in the Audio Study Zone? "I have worked with Lindsey on various projects and in my opinion it is the best experience one can have in working with a dialect coach. 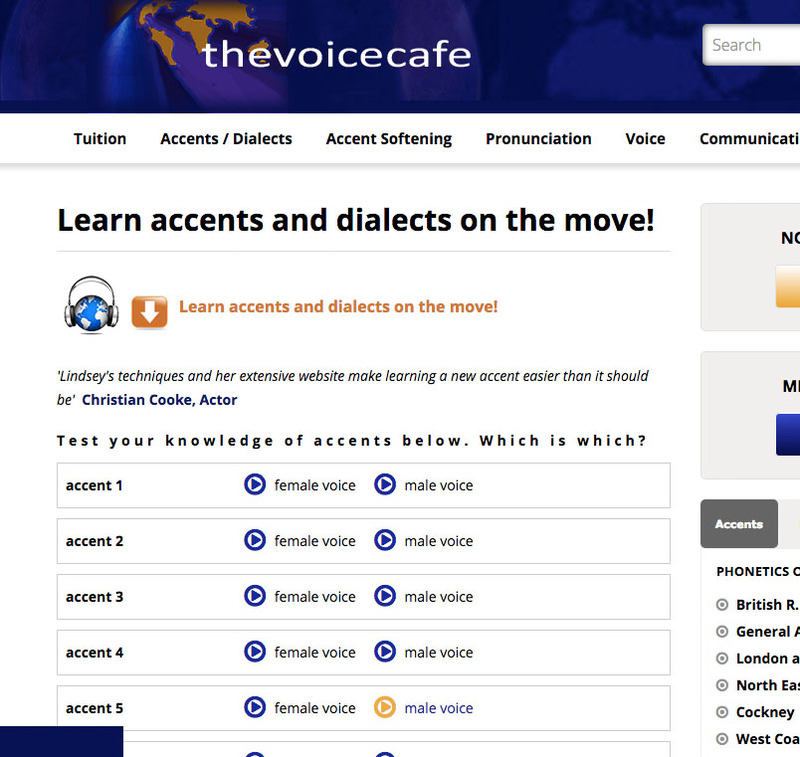 Not only is she extremely skilled in various dialects, but her techniques and her extensive website make learning a new accent easier than it should be. The benefits of being able to work on Skype with Lindsey are endless. I have often had sessions in my trailer before going on set or at home before rushing to an audition. Knowing that I have that safety net quite literally at my fingertips is a great comfort when preparing for a role." *Please note: certain accents requiring special research prior to your project may be priced differently.